In this blog post, I go to collect a set of tools used to help developers choose better dependencies and see the hidden cost of your choices. 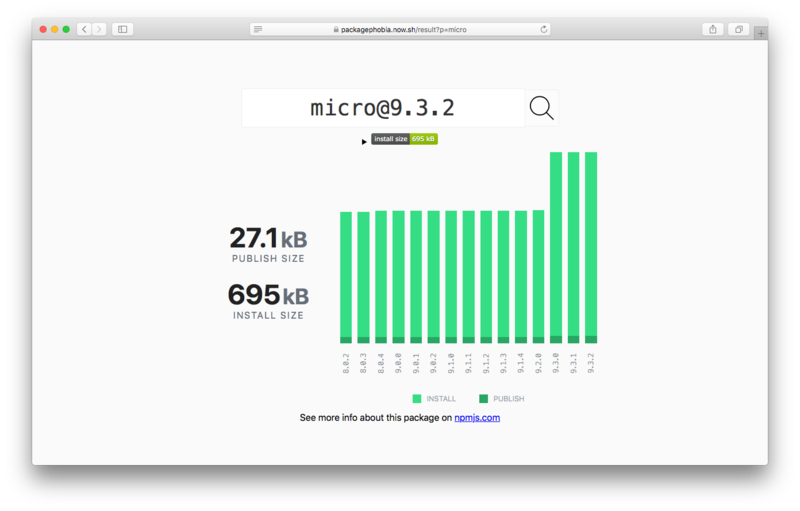 The publish size at NPM registry. Evolution of both metrics over each version released. 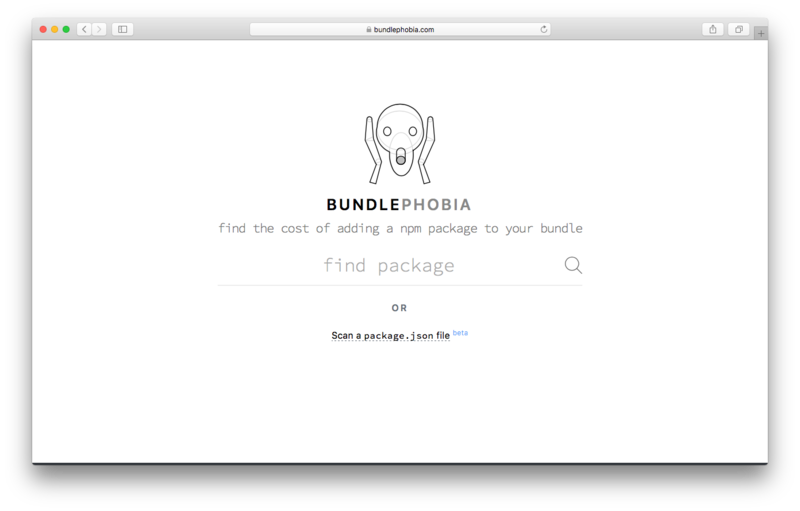 Bundlephobia is pretty similar to packagephobia but oriented from a frontend side perspective, reporting you the size based of the webpack bundle size. pkfiles list all files which would be published in a package. It’s great use before release a new version and know what will be inside the bundle. You can complement it perfectly with files fields at your package.json. depcheck is a tool for analyzing the dependencies in a project to see: how each dependency is used, which dependencies are useless, and which dependencies are missing from package.json. I love use this tool specially in projects with many contributors, where the codebase can change a lot every day and you install and remove dependencies without criteria. Adding size-limit to your continuous integration service (such as Travis CI) is the best way to don’t increment the size of the library unintentionally. 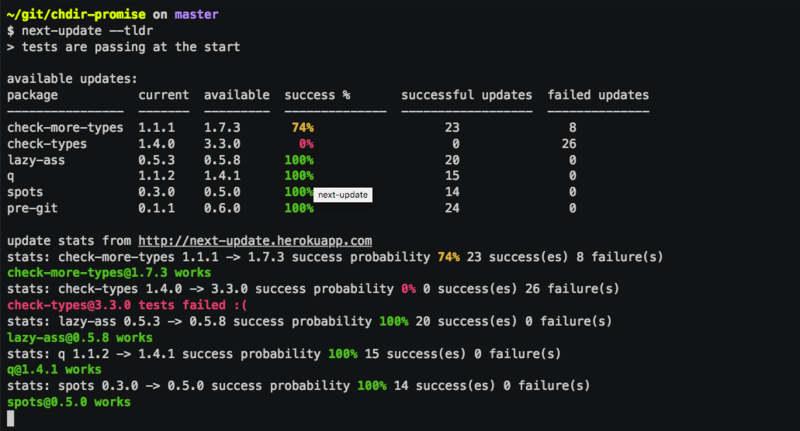 next-update aims for automatize your upgrade dependencies process. It runs your project tests upgrading your sub-dependencies tree until found a combination that breaks your code. It will be determinate your ideal version so you can update your dependencies without break your code. Web is the Platform. 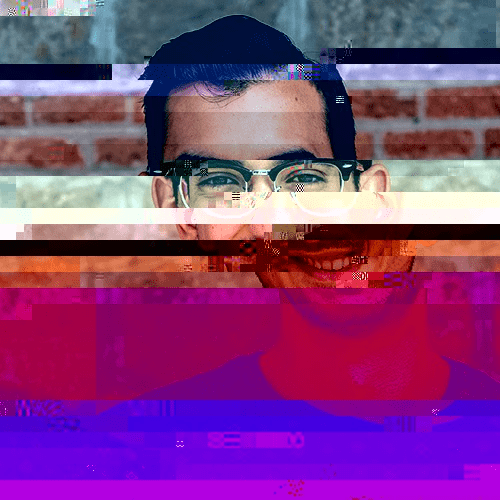 Programmer, Computer Science & Software Engineer.